This blog has been kicking around for almost five years. Some of it is my thoughts and opinions. Some of it is essays, some is about the Chop Concept, and some of it is about cleaning. A lot of cleaning. But if you’ve been dropping in for a while, you probably know how it began. 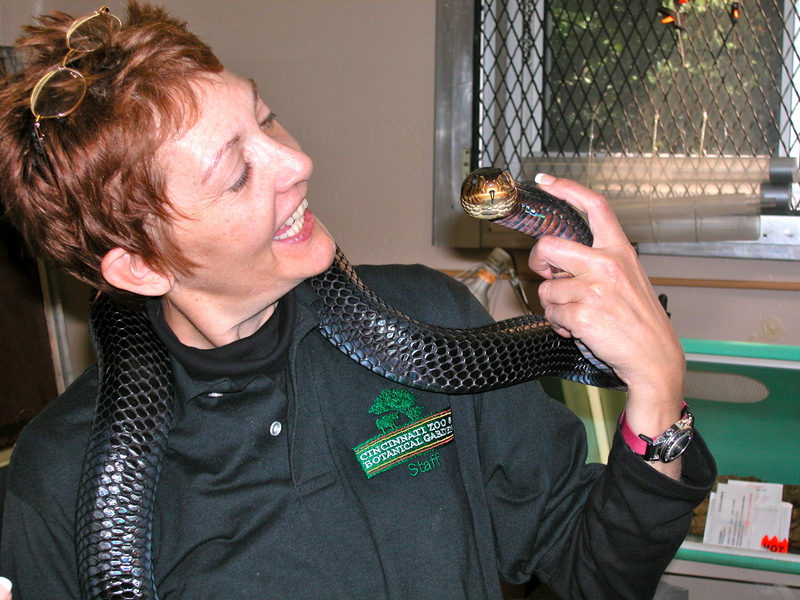 Back in 2008, I dithered for a few weeks and then jumped headlong with both feet into writing about what I happened to be doing at the time: Working as a Guest Keeper at the Cincinnati Zoo. I also covered the Midwest Bird Expo, several of the Houston Parrot Festivals, The BEST Parrot Conference, and I went to Best Friends Animal Society twice. I cleaned a lot of bathrooms, scrubbed a lot of walls and shot a lot of video. It was wonderful. My Introduction to Luke, a Vicktory Dog. 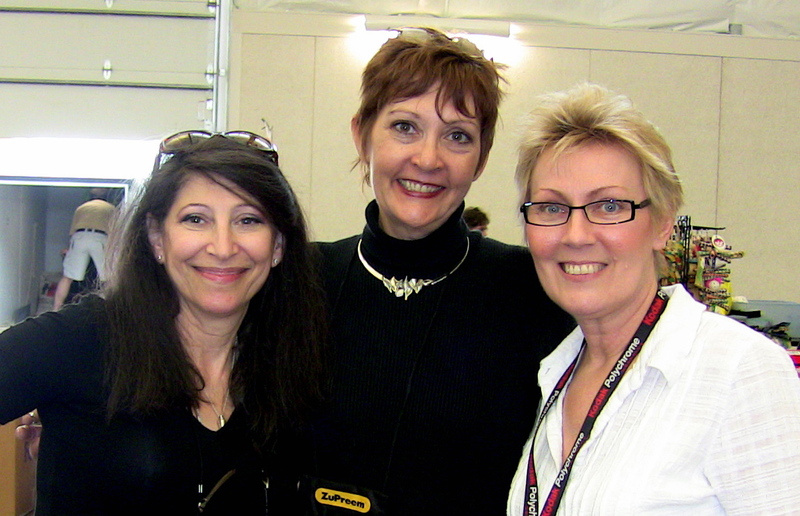 Photo courtesy of Janet Hilton. 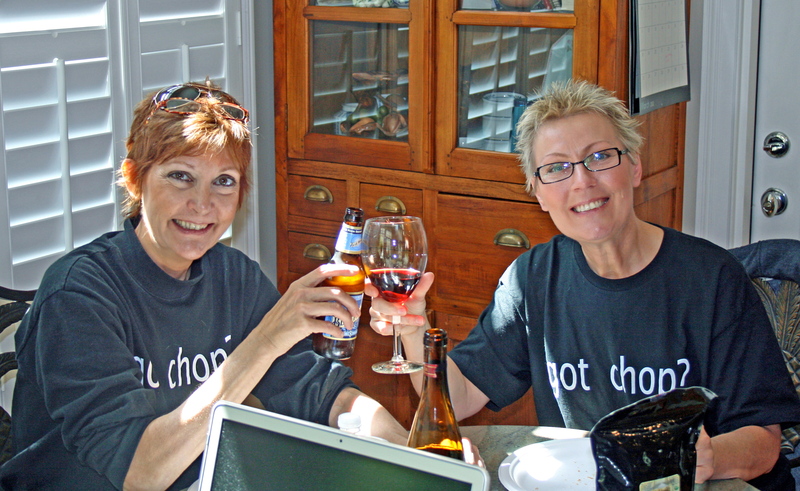 Janet knows how to throw a Chop Party! 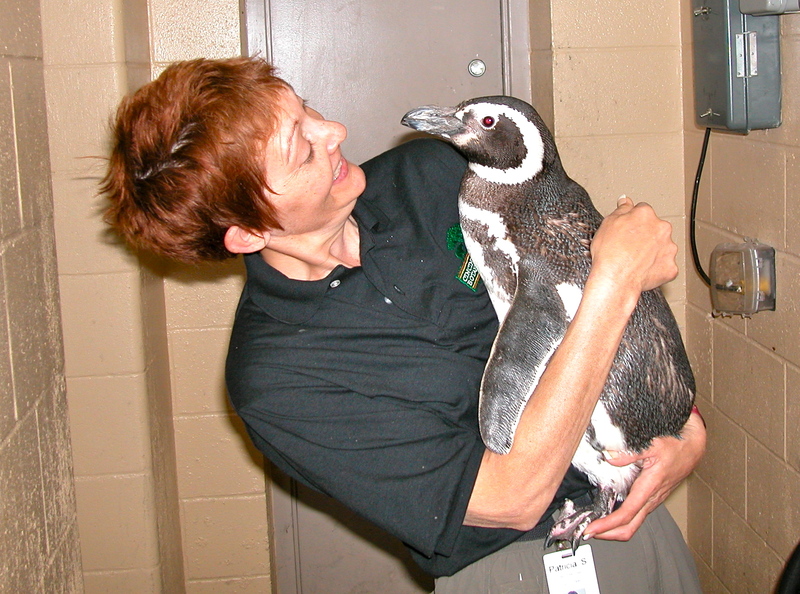 Each place I went to, they knew I was coming or invited me, as was the case with the Cincinnati Zoo, the Midwest Bird Expo, Phoenix Landing,The Oasis and Best Friends. I have a ton more places on my list to visit, among them a pigeon adoption and rescue organization and Noah’s Ark Sanctuary in Georgia. I’ve been to The AFA Conference twice, even speaking there last year and I’m returning this summer. I’ve covered Vet visits, shopping trips to various stores, and even fund-raising dinners for the Alex Foundation. I’ve been doing this for almost five years and writing about it here. And it has been such a blast! The people I meet, the stuff I learn and am able to pass on to other organizations has been terrific. Best Friends Parrot Garden Manager, Jacque Johnson told me about visiting Black Hills Parrot Welfare and Education in Belle Fourche, South Dakota. They welcomed her and she took away some wonderful ideas that she was able to use at the Parrot Garden at Best Friends as well as sharing some of her ideas, I’m sure. 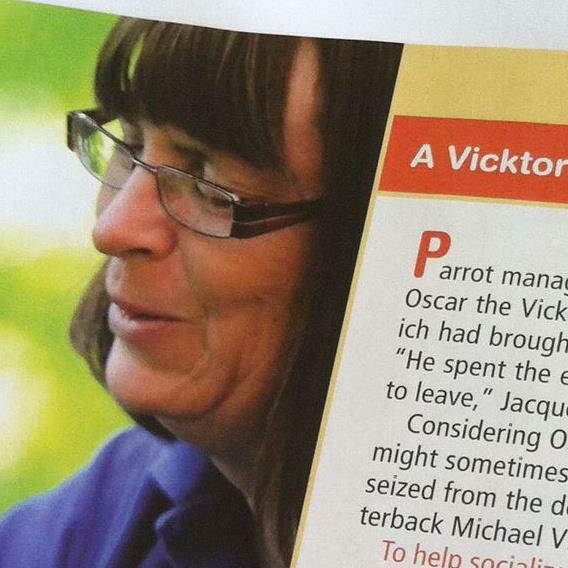 Jacque told me, “I’ve visited Black Hills Parrot Welfare and Education twice. Both times I was able to pick up ideas that we could use here at the sanctuary. One thing they do that I thought was brilliant was to use a wipe-board in each room, listing the birds by location, special diet notes, behavior notes, and any pertinent medical information. That is a great way to clue staff and volunteers in about what’s going on with an individual bird. I also liked the way they had a dedicated area set up for education and all the birds were in species specific rooms. Each room had its own supplies available there, to limit cross contamination. This reminds me of a day I was covering something at the Zoo, and one of the “Big Kahuna” types came up to me and asked me not to write about it. I told him it was absolutely no problem because I really hadn’t found it of interest. He seemed kind of bothered by the fact that what I had just seen that he found so “delicate” was of no interest to me. So naturally, I became puzzled when people began questioning Emily Trimnal’s latest adventure in the works, “The Roaming Parrot.” Here is Emily, truly one of the nicest people I’ve ever met, off to roam the country and do exactly what I began to do five years ago and I just recently found out that she is essentially being chastised for even thinking about it. Why? What’s the difference? Emily will be visiting various adoption-based organizations, sanctuaries and bird supply stores spread out all over the country. I’m sure that the planning alone will be an incredible undertaking. And unlike me, she is driving. Oh my God. Driving? I hate to drive. The immediate goal and mission of The Roaming Parrot (TRP) is simple and basic. We are trying to learn and document as much as we can about the dire needs facing our Avian Community. We are not claiming to be an official agency of any sort. Data collected will be used to aid and facilitate in areas of rescue, sanctuary and re-homing. Our hope is to unify the community, not create a bigger divide. Information collected will be used to develop further recommendations for unified standards as well as to facilitate and disseminate data, sources, and “best practices”. This is NOT a mission taken lightly. No one associated with this group wants to tear down anyone that looks to help the Avian community. Help me understand this here, but I simply fail to see the difference between what I’ve been doing and continue to do, which is write about the Avicultural Community and what Emily is taking on. She is not going where she isn’t invited and people all over the place are welcoming her, wanting her to see the places they have established, built and developed. 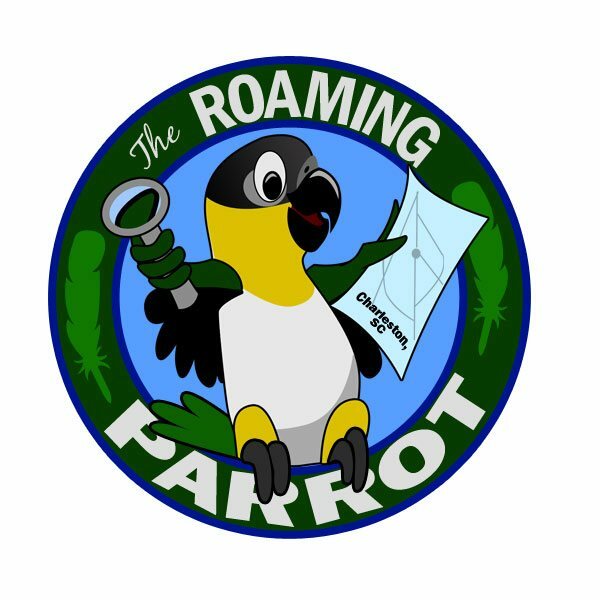 The way I’m taking it, The Roaming Parrot Project is simply to develop a sort of Zagat Guide of sorts to the Avicultural world. From what I’ve been able to gather, the information compiled will be items such as, what kind of facility it is: store, adoption facility, or strictly a sanctuary. If it’s an adoption organization, is it brick and mortar? Do they take only one species of bird? What are their hours, contact information and do they allow volunteers? Is it a 501c3 or privately funded? What are the adoption guidelines? What ideas can we take away from this particular facility? I think the guide will simply help people make decisions based on facts gathered about the facilities. Let me put it this way: You learn a lot more by going to a place and actually seeing and experiencing it than just visiting a website. I felt my videos, photos and description of Best Friends for instance, gave you a fairly good feel about the place than just seeing their website did. For instance, you saw photos of Kelly Moore Parsley and Bonny Grafton cleaning and interacting with birds. You got to know the backside from the perspective of a volunteer. It seems to me that the project is gathering data to help people locate and contact various outlets around the country and compiling them into an interesting and educational format. Information can be a wonderful thing. Especially if it’s good information. I’ll be following the Roaming Parrot to see the places I haven’t been to yet. I’m sure I’ll learn a few things. And to me, I think that’s the entire point. I saw that! I’m glad you liked the post. I love the idea of this venture and look forward to learning all I can to improve on my bird care; even though I have so few compared to others. The Avian World needs to come together and work to make better living conditions to the marvelous creatures we have brought into our lives. I am hoping the current panic will subside and everyone will benefit from the info shared on Emily’s journey. Thanks for another great post and sending you Happy Birthday blessings! Splendidly written, Patricia! Good to see ya sticking up for Em’s project – I’m often confused by what I’m reading from the nay-sayers. Crazy stuff, huh??!!! Well, happy Valentine-y Birthday to you and thanks for writing such a great article!!!! Happy Valentine’s Day and Birthday and yes Emily Trimnal is one of the nicest people I have ever met also! Great that you wrote this and it’s right on point just as you always are! Only met Emily once, seemed like a nice, level headed woman who really cares about parrots. So might I suggest that everybody who doesn’t know her AND insists on making outrageous comments about what she MIGHT do, should STFU and just wait and see what she DOES do. Okay,,, enter miss common sense here…. Again, the Avian community is being given a chance to expand their knowledge, network to HELP MORE BIRDS, and some are balking?? What do you have to hide? 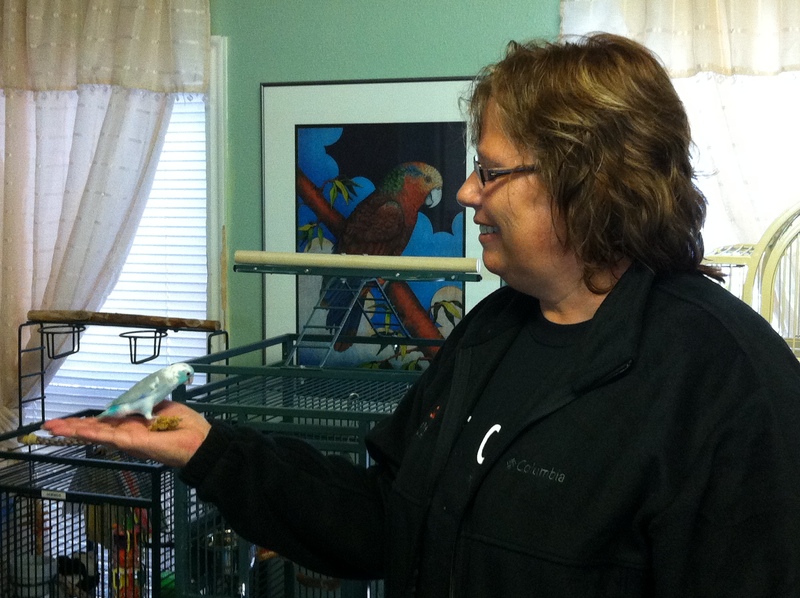 There are more than one or two ways to run a successful, healthy bird rescue/sanctuary…. if you don’t like the way another is doing it,, don’t use any of their methods,, but hey, you get a call that a cockatoo needs a new home, damn, you don’t have room for the poor soul, but you have access to a network that you can contact another rescue that might have room for this poor soul…. hmmm ,, I thought the purpose of a bird rescue was to help the birds…. I don’t believe I have ever meet Emily, but I look forward to the day I do. We are really hoping that Black Hills Parrot Welfare & Education Center will be included as one of her stops. We would love to share our experiences, protocol, and unique ways with her. 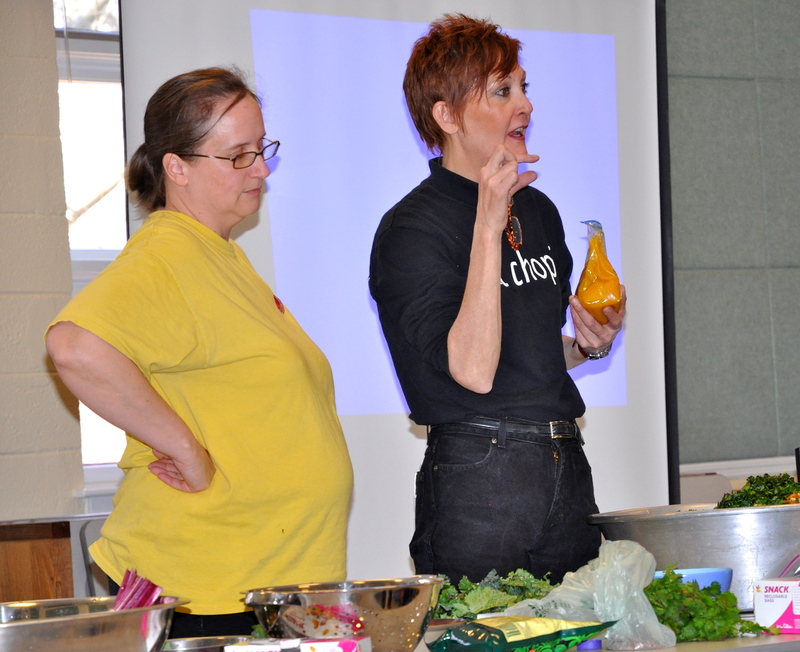 But more importantly we feel she could bring fresh new ideas and experiences to our operations. Sometimes it’s hard for avian facilities to network, brainstorm and get exposure to innovation due to obligations. This is an long overdue and innovative approach to the collective mission of avian rescues, sanctuary’s and rehabilitation facilities. Good luck with you endeavor Emily. Thank you for your comment Greg. I added a link to your website as well as tagging your organization if that’s okay. uh…Greg….I already gave her your name and said that if she wanted to see a small private rescue done right, she needed to make a stop in SD. That’s great Patricia; And I would also like to extend a welcome to you. Please visit us next time your in our area. Great article as always. Hi Greg! I put you on ‘the list’ as soon as Jacqueline recommended your facility 🙂 Jami, I must live under a rock because I didn’t realize you owned a store. I’m adding you to the itinerary as well. Thanks everyone for all the support, it truly means a lot. Thank you Jamie! I so appreciate your enthusiasm for Emily’s project. I can see only good coming from it. See you in August and thank you again. 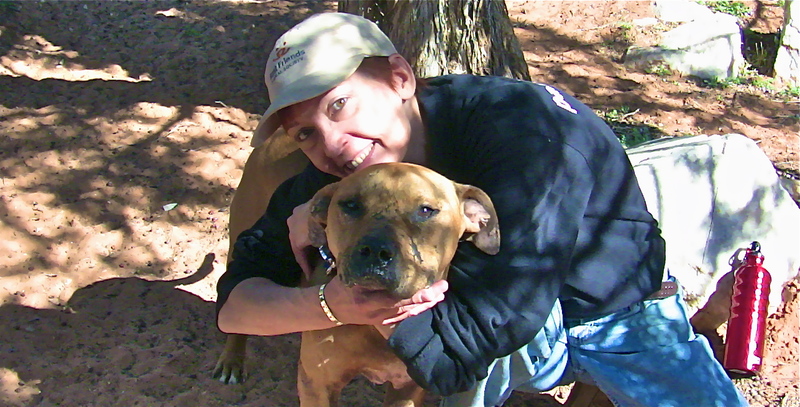 Rescues and sanctuaries need to work together, and many have in recent years. But there is plenty of room for improvement when it comes to networking…and that’s all that Emily is out to accomplish. Thank you for this article. I hope it has adequately clarified the goal of The Roaming Parrot so that any anxieties and misunderstandings can be put to rest.